One of the most amazing moments in a couple's life, a wedding ceremony deserves to be perfect, and that is exactly what you will get if you choose Kempinski Hotel and Residences Palm Jumeirah and its exceptional staff to host and organise your big day. 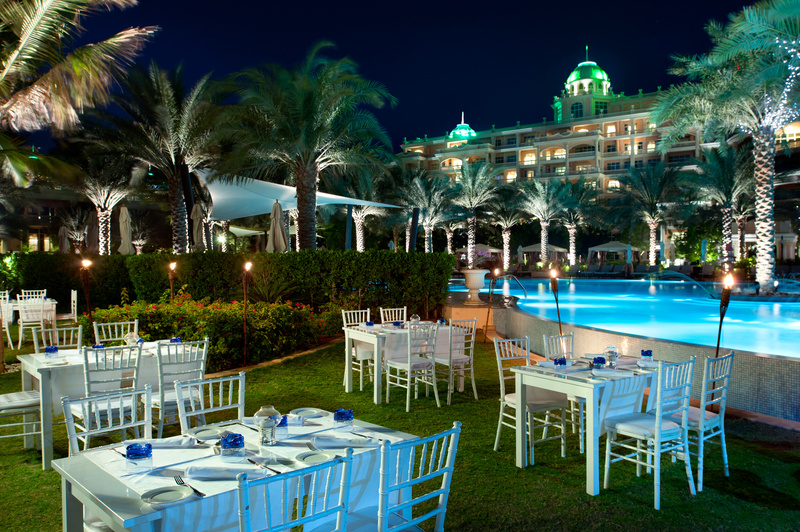 As well as having staff with the expertise needed in order to create breath-taking events and superbly well-appointed interiors and outdoor areas that make every moment seem magical, the hotel's location in vibrant Dubai offers couples one of the best backdrops on the globe to wed. Nowhere else can you tie the knot with such an exciting cityscape in the background, as you enjoy the best food, drink and entertainment, in Dubai's warm and relaxing climate. Click here to find out more about the range of services on offer. While all ceremonies are magical, an enchanting location makes it all the more memorable. There are lots of places at Kempinski Hotel and Residences Palm Jumeirah, giving you total freedom of choice when getting married in Dubai. 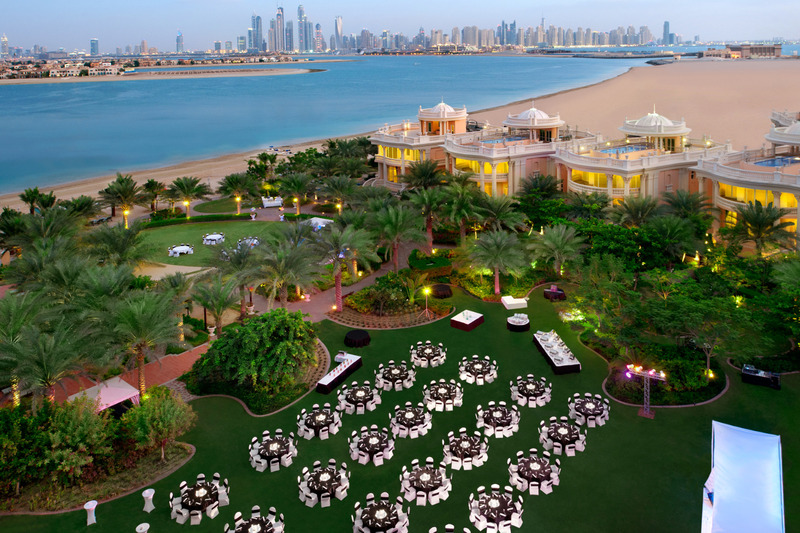 Blessed with a 500 m-long stretch of golden sand that is connected to both an events area and a verdant lawn, the hotel is able to provide a classic beachfront Dubai wedding ceremony for couples and their parties. Say 'I do' on the sand or have the beach and cityscape beyond as a backdrop – the beach is a versatile ceremony venue, catering for up to 250 people. Choose one of the hotel's many garden areas for a wedding in lush, shaded surroundings. 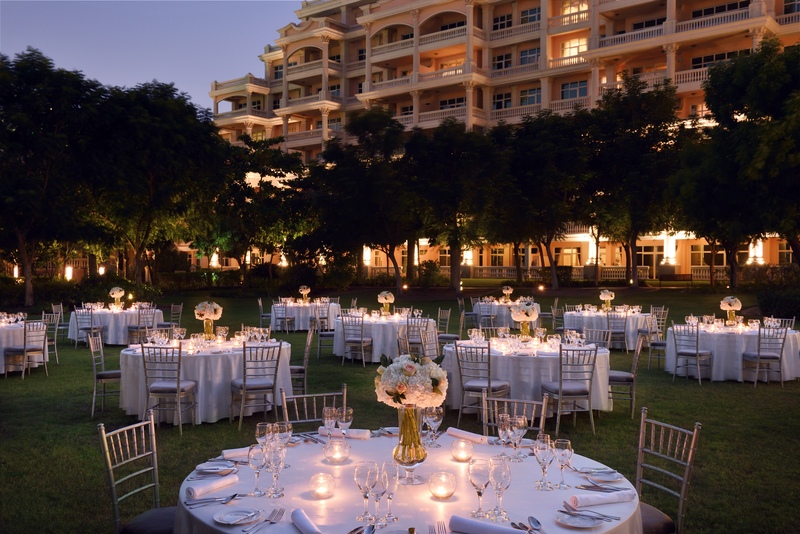 Able to host very large parties of guests beneath swaying palm leaves, The East Lawn caters for up to 250 people, while the West Lawn can host up to 600 guests. The range of fabulous restaurants at Kempinski Hotel and Residences Palm Jumeirah can easily be adapted for use as a ceremony or reception space. Featuring relaxing yet opulent interiors and terrace areas where guests can enjoy amazing views, each of our restaurants is a one-of-a-kind space – the relaxed, beach-front Bonfire; the classic Brunello restaurant overlooking the lawns; the modern and inviting Beluga Beach Restaurant; and the luxurious private dining room. The terrace at Brunello can host 130 people, Bonfire up to 100, the private dining room up to 40, and Beluga up to 75 indoors and 85 outdoors. One of the hotel's more hidden areas, the Emerald Pavilion has been built and furnished in a pretty European style and features a terrace area offering amazing views out over the archipelago and city. The venue can cater for up to 120 people. Whatever type of wedding you and your beloved are planning, we can accommodate you. Whether you are arranging a traditional or non-religious wedding ceremony, the hotel and its staff are on hand to make it magical, and although you will have to pre-arrange an individual to conduct the service, we will ensure the day runs perfectly. The same goes for vow renewal ceremonies, where we will help make a memorable and romantic day for partners wishing to reaffirm their love. From the food, to the venue to all those little extras that make a wedding day special, we will make sure your special day is the best it can possibly be. Click here to explore our wedding reception offering, and here to see how you can go about planning the most wonderful wedding possible with us. For more information, contact our events experts on +971 4 444 2000, or via email, at meetings.thepalm@kempinski.com.